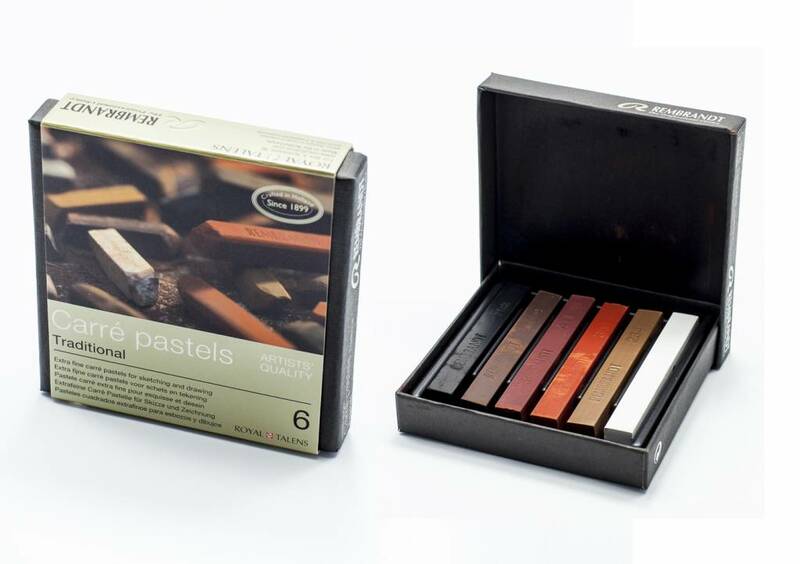 Carré Pastels: box with 6 crayons, Royal Talens Rembrandt Traditional. 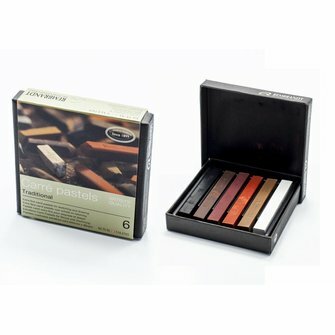 Carré Pastels: box with 6 crayons, Royal Talens Rembrandt Traditional. The crayons have a high colour release, tinting strenght and the highest possible lightfastness. They have a good adhesion on practically all types of paper and are washable. The colour numbers are 100, 234, 394, 411, 409 and 700 (white, black and 4 browns). Size of box is 8 x 8 cm.